Item # 308747 Stash Points: 3,399 (?) This is the number of points you get in The Zumiez Stash for purchasing this item. Stash points are redeemable for exclusive rewards only available to Zumiez Stash members. To redeem your points check out the rewards catalog on thestash.zumiez.com. 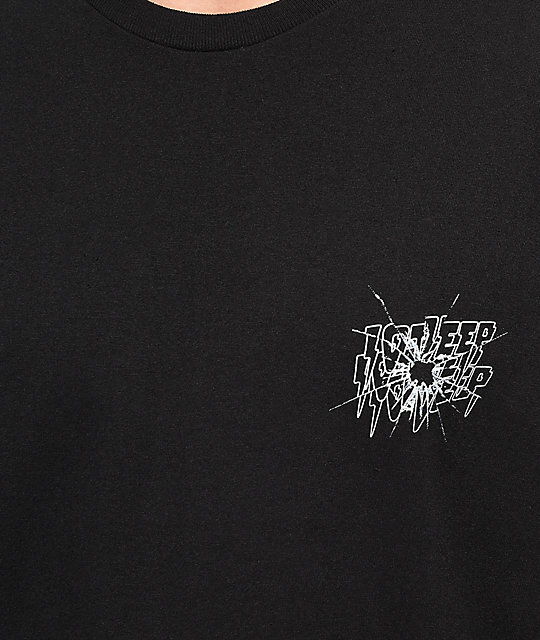 Switch up your casual looks in the Ricochet Black T-Shirt from 10 Deep. 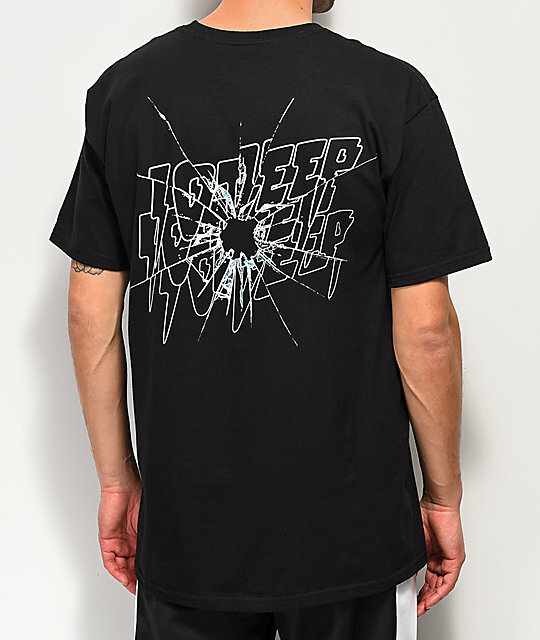 This all black cotton tee features a white screen printed 10 Deep logo at the left chest, and a larger image on the back of the 10 Deep logo text in a shattered glass style graphic. A ribbed knit crew neck collar and all cotton construction makes the Ricochet Tee a great option for any casual look. 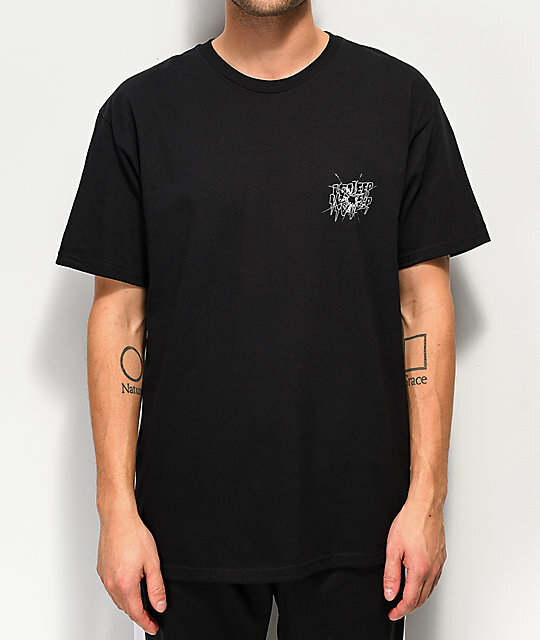 Ricochet Black T-Shirt from 10 Deep.